When it comes to ski rental there is only one address in your holiday resort: INTERSPORT Kirschner! This high-end class is made for the most ambitious among you. If only the best is good enough for you, then these models are the ones you need. These high-performance models are of very high quality and offer the most innovative technologies. No compromise! 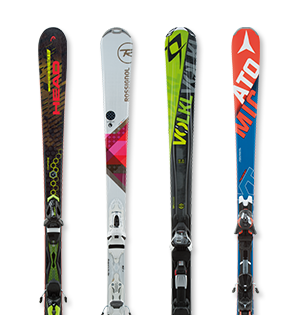 With these high-tech skis, you get value for money. This is the one you want when you have high expectations for your equipment. 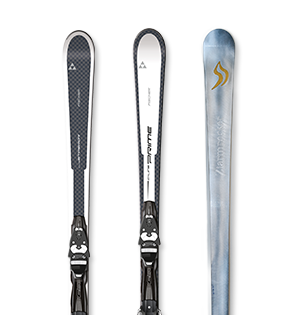 Premium skis are made from high-quality material and have an impressive design. This is the rental class for demanding skiers. The optimal turning and carving behaviour of premium models will allows you to ski safely down all slopes. This is the category you want when you are either a beginner or are getting back into skiing. You think price awareness is important, but still attach importance to study material. 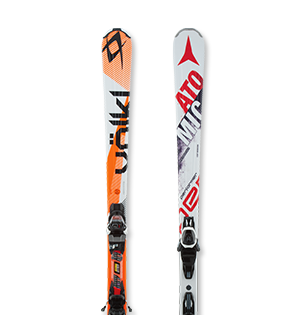 These all mountain skis guarantee a whole lot of fun on the slopes. Because of their construction, they are more tolerant to mistakes and offer a lot of comfort on the slopes and only require a bit of effort. rent your equipment now online!